... in as large a way as you are able. Below are specific sponsorship opportunities, of course any donation is truly appreciated. It is also a good time to consider joining our Monthly giving program. At Project Shoresh of RI, we are so thankful that there are so many wonderful people who care so deeply about the Jewish community at large. As you may know, Project Shoresh of RI is here to make sure that we have a vibrant Jewish community now and in the years to come. We can only do this with your help. As you consider where to make your year-end gift, why not give the gift of Judaism. Help us make Judaism exciting, meaningful and relevant for every Jew in Rhode Island. Don't wait, make your year-end gift today. Donate to Project Shoresh of RI and receive a year-end tax deduction. All donations are fully tax deductible. 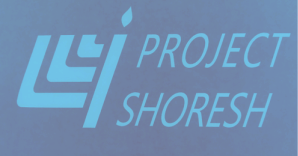 Project Shoresh of RI, Inc. is non-profit organization registered with the Rhode Island Secretary of State, classified as a "place of worship," and all donations made to Project Shoresh are tax exempt under section 501(3)(c) of the United States tax laws. Our EIN Number is: 460601174. If you would like to make a donation using a payment other than credit card, please contact Rabbi Karp using the form below, click "submit" and he will assist you. Thank you for your support. Project Shoresh is a not-for-profit charitable organization. Donations made to Project Shoresh are tax deductible under Section 501(c)(3) of the United States tax code.